This List of High Fiber Foods will Enhance Your Diet and Health at Once! One All-Good Supplement for your health, Not Protein, Not Vitamins, It is the Fiber! Every nutrient that we take in the form of food will be beneficial in many ways. The fiber in that list stands out for its health benefits and characteristics. High fiber foods are the idea to be discussed here. The nutritional benefits of fiber and its uses for health are the knowledge that’s going to be sought. The intake of fiber is the most essential to keep you healthy. Additionally, fiber supports our health condition in terms of preventing disorders due to poor digestion, curing the sickness in the body due to insoluble/free radical entities that are retained in the body. A list of 30+ foods is given here with a proper idea of how fibers work on the body to maintain healthy digestion. Digestion, being the most important activity focused by fiber rich foods. Other than that, there are a lot many purposes to fiber to be in our body in adequate amounts. Let us explore it thoroughly. Here comes the limitlessness of a vegan’s food choices. A vegan is the one who doesn’t just eat non-vegetarian foods but also does not take any animal-generated food like milk, butter, ghee, etc. dairy products. This makes vegans more happy when they see a list full of their choices. The high fiber food list does not contain any dairy product as they do not have any fiber. Of course, non-vegetarian foods have fibers, vegans have an ample number of choices to select and prepare a diet chart out of the list. This long list of foods that contain fiber is all enough to create a beautiful diet plan for you. May it be the weight loss diet, fitness diet, or any normal healthy diet, the nutrients available in this high fiber food list will be more than enough for anyone’s diet pattern. Not just the fiber count but the calories count, supplements, minerals all would be making up to a very healthy diet for one to become perfectly fit. Wheat is the most eaten grain on Earth, and it deserves it too. Having wheat daily is of great strength to our body which is due to abundant fiber content. With 10 grams of fiber in a 100 grams of its weight, the digestive and metabolic functionalities get to the healthiest levels in one’s body. Having those foods which are made out of whole wheat is more important when the fiber is our main consideration. The lack of knowledge on whole grains may take down the benefits of high fiber foods. Almonds are however famous for their immense nutrition. The fiber content in the peel of almonds is what made them so famous. Have 5 soaked whole almonds or a handful of almonds every day in the morning right after brushing. They contain almost 4 grams in one ounce by weight. It will enormously improve your digestive capabilities and stomach health. The Vitamin E, minerals like magnesium, calcium, and iron make it stand on top of all high fiber foods. 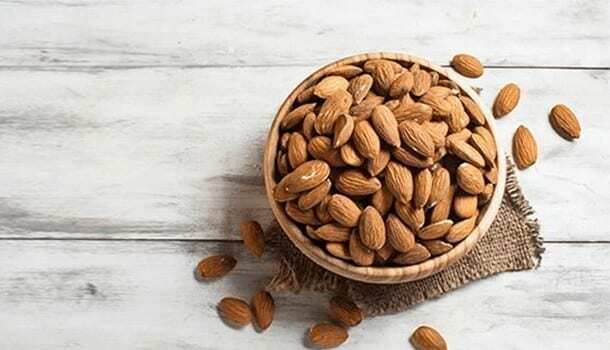 This powerful nutrition of almonds is most useful in regulating blood pressure, metabolism, and body fats. All these health benefits of almonds get enhanced by the enriched fiber content. Fiber mainly helps in resolving the digestive problems. 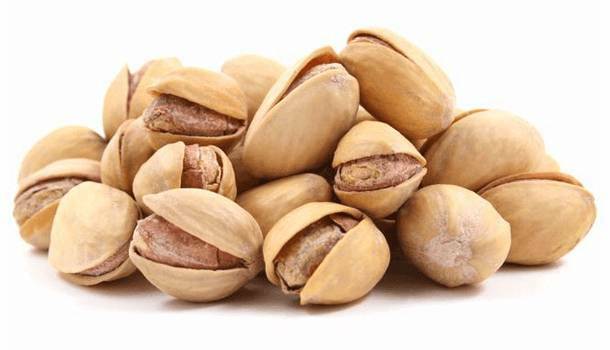 ‘Pistachios’ is the real name for Pista. Eating raw pistachios is fun. They taste really different than any other seeds and superfoods. The fiber content of the seeds enhances the digestive health. The amount of fiber in one ounce of pistachios is up to 3 grams, 2 ounces of which will be a fruitfully sufficient serving for one session in a day as the Daily Value of Dietary Fiber is 25 grams in women and 35 grams in men. Quinoa is another popular and most-chosen food by the diet-conscious people after oats. Quinoa is similarly used by diabetics, people with disorders that happen due to poor metabolism(cholesterol, indigestion, blood pressure). 100 grams of quinoa has 2 to 3 grams of fiber which is comparatively better than many seeds. The other important minerals like magnesium, potassium, zinc, iron are all available to satisfy our requirements. 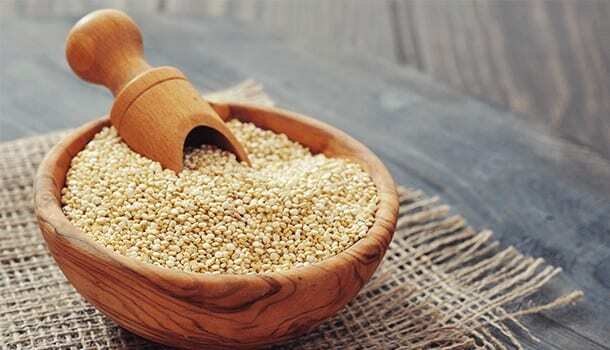 Quinoa is additionally known for the antioxidant properties which enrich the benefits of fiber in the body. Quinoa can be eaten in many recipes like quinoa butter burgers, etc. Oatmeal has become the primary recipe in every house from last two generations all over the world. It is not the taste that attracts but the flavor and the immense nutrition that supports the metabolism that is pulling everybody towards it. Oats contain fiber in huge amounts. It contains more than what wheat has. It gives half of the daily value of fiber in one serving. 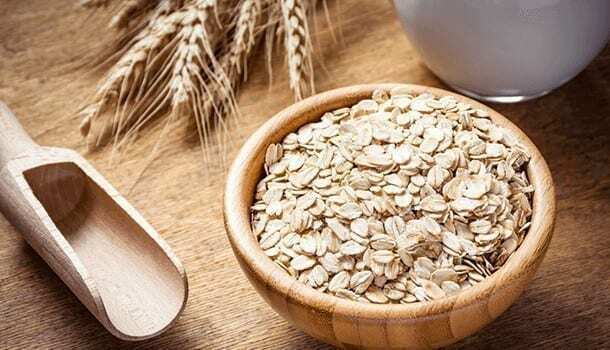 There are few types of oats that offer different benefits than that is obtained from their conventional usage. Steel-cut oats provide healthy food satiety, which is a major advantage of consuming good sources of fiber. Ask any Southasian about lentils. They might not know the nutritional benefits of lentils, nor they can tell you what does it do to your body. Still, they cannot avoid lentils in their foods when they’re home. The beauty of lentils is, of course, the fiber-richness. 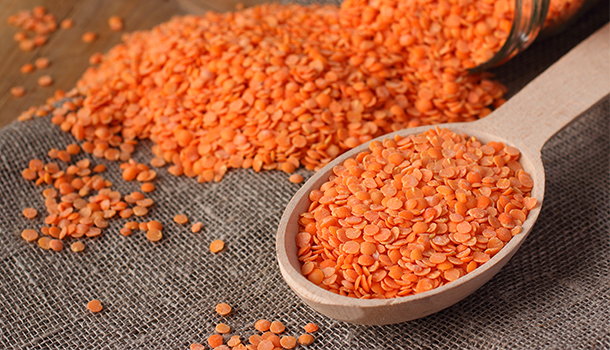 Lentils are special high fiber foods that enhance your all-round health. They can regulate many internal mechanisms in the body like blood sugar control, clearing out the free radical effects with antioxidant properties, etc. Many sources of fiber are searched to reach daily value. Have a lunch centering lentils, and that’s it. You will have the quote of fiber for the day. Another important ingredient in terms of powerful nutrition. Chia seeds are also one of the top high fiber foods. We get almost 3 times of fiber with chia seeds of what we get by having the same amount of wheat or oats. 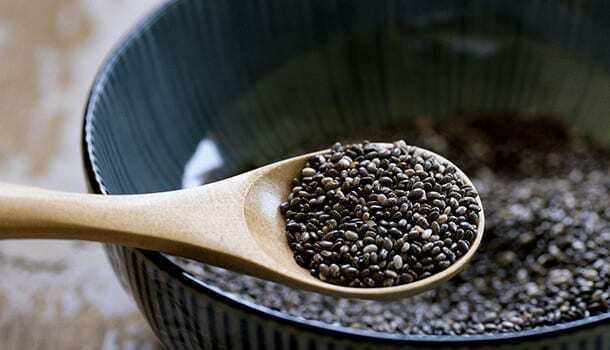 The health benefits of chia seeds are so impossible without noting its fiber content. The fiber and other nutrients like magnesium, iron, phosphorus, calcium benefit our health in so many ways. Regulating bowel movements, controlling weight gain, improving bone strength are few of them. The major quality of fibers, i.e. food satiety is one of the major strength of chia seeds. They expand when they are soaked. This makes them very suitable for both weight loss diets and high fiber diets. If having avocado is not your choice, you are missing a lot. The beauty of avocado recipes will attract it to have a kilo of them always in your shelf. 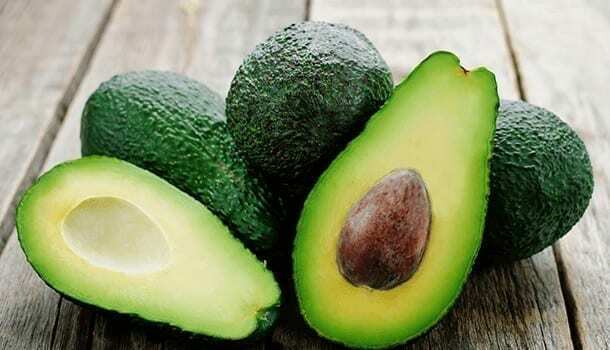 Coming to the point, the fiber and nutritional strength of avocado are not like any other fruit. One 100 grams of avocado gives us 7 grams of fiber which is one-fourth of the daily value. Add it to salads, creamy cakes, and many veggie recipes that support digestion to maintain good fibers in the body. Apple without the skin isn’t a Negative-Calorie fruit! Nor is it one of the high fiber fruits without the peel. Eat an apple with the skin on it to reap maximum benefits. 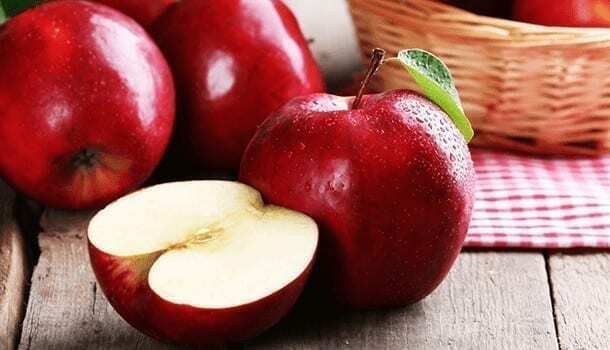 The weight control, food satiety, fiber and mineral strength, and resolving issues like water retention, oral health, bloating, diarrhea, etc.will be enhanced by the regular intake of apple. Strawberry is somewhat limited in fiber content. 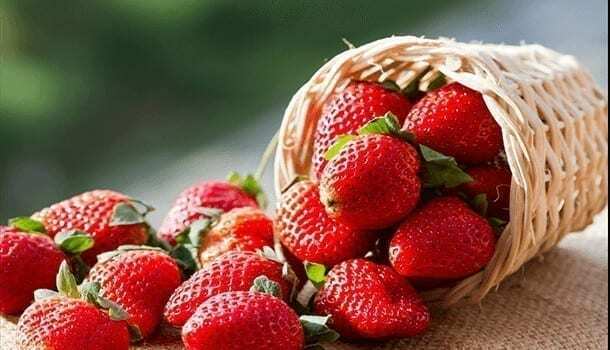 But the additional properties of strawberry are addictive. Its benefits for the immune system and blood pressure make it a popular one in healthy foods’ list. Broccoli adds more health to your body. Apart from fibers, it strengthens the body with cancer-fighting properties, and rich nutrients of Vitamin K, B, and C, protein, potassium, calcium, etc. Broccoli also helps immunity a lot. The fiber content is backed by so many nutrients that enhance the health to the next level. Broccoli, that’s how stands out in the choices of food-conscious people. 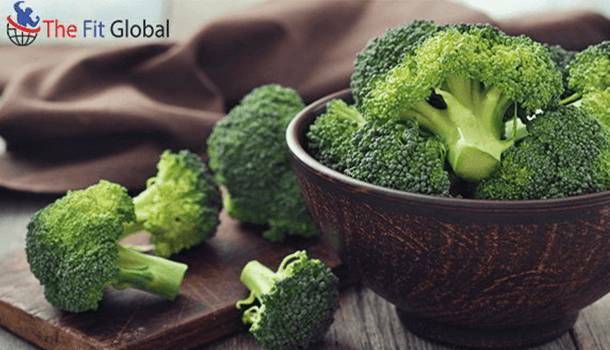 Out of all high fiber foods, broccoli would be the favorite forever owing to its immensity in fulfilling the stomach. Having a banana daily after lunch will do great for digestion and detoxification. Removal of free radicals is so fascinating with banana nutrition as eating one whole banana isn’t even a whole snack for many. People enjoy having more and more bananas at a stretch. Banana, as it is quite famous and a familiar fruit for many, needs no introduction about its nutrition. 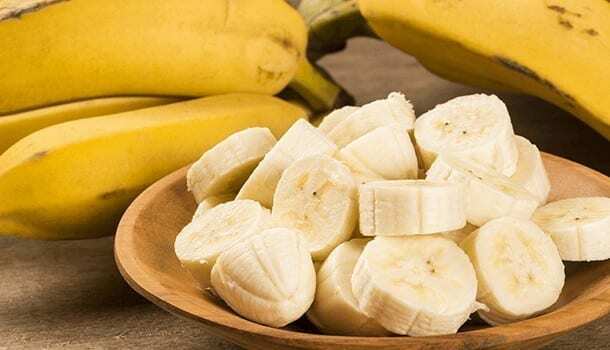 The potassium and fibers are most renowned assets of banana after the starch sharing the large portion. Raisins are a superfood for digestive health. We can combat constipation with the consumption of raisins every day. Raisins promote faster bowel movements which is why one-year-old babies are fed with more prunes right after their meal. 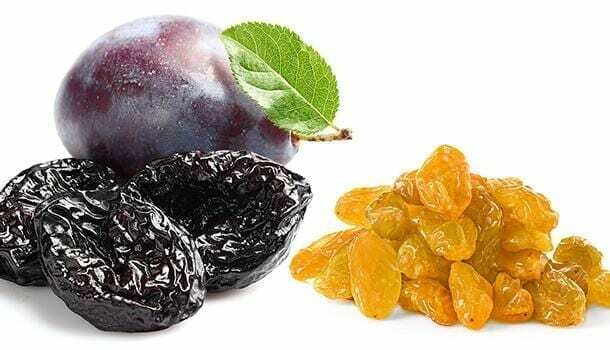 Prunes contain more fiber than raisins, i.e. 7 grams in every 100 grams. They support digestion and metabolism with adequate soluble and insoluble fiber contents. Chocolates, love of all. Dark chocolate with rich cocoa gives us good fiber. Choose that brand of chocolate that has least of sugars and most of the cocoa. It is because cocoa is the fiber-factor in dark chocolate. The abundant fibers in cocoa are of course useful to health. But having dark chocolates in heavy amounts will lead to no good. So having it as a casual snack would be beneficial. These are few more equally good sources of fiber. 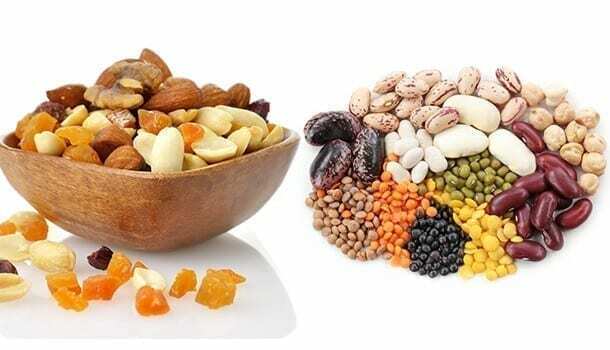 There are high fiber vegetables, high fiber fruits, and few other seeds and nuts. 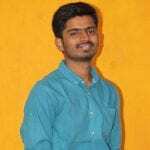 All these also do contain significant amounts of fiber but the nutritional gem of these foods is comparatively lesser than that of those explained. Here’s a wit. The header makes no sense by stating ‘drinks that contain fiber.’ No drink constitutes fiber unless it is made up of that ingredient that is rich in fiber. Many drinks which only contain sugar, water or some other material are of no use if you are looking to add them to your high fiber diet. Drinks like carrot juice, beet juice, and any other vegetable juice or a fruit juice contain fiber in good amounts. But when it is a whole grain/raw vegetable that is compared with above juices and drinks, there’s no bet on drinks that they favor better than the foods. We can highly benefit with the nutrients and minerals if we take them in direct form rather than in juices. It is due to the whole seed/nut contains the complete quota of essential supplements that are said to be provided by the particular food. So it is always a better option to have one fruit in your bag to reap maximum amounts of fiber, rather than looking for a ‘juice counter’ on the street.